Come to our cabin retreat and relax, sleep late or rise early and enjoy your coffee from the front porch swings with the wildlife while looking at a beautiful view of one of the lakes. 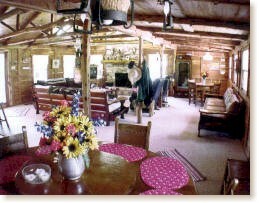 The cabin is furnished with W.R. Dallas handmade ponderosa pine furniture. 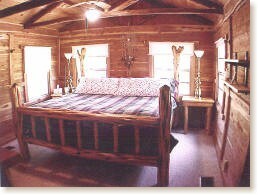 The master bedroom offers a romantic king-size cedar log bed. Twin beds are found in the second bedroom as well as a sleeping loft for children. Get cozy in front of the massive eight-foot wide fireplace in the living room. Settle down in the comfortable leather recliners and couches and enjoy TV or a fun time at the game table. 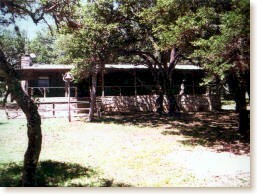 The convenience of a full kitchen is available or grill outside on the bar-b-que.